The IX Seal coating with PTFE by different colors. 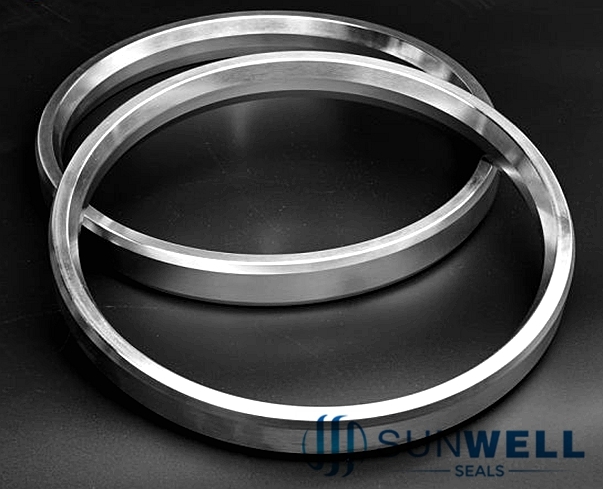 Many clients have drawn on SUNWELL`s specialized knowledge and experience on the use of high pressure and high temperature metal-to-metal static sealing. 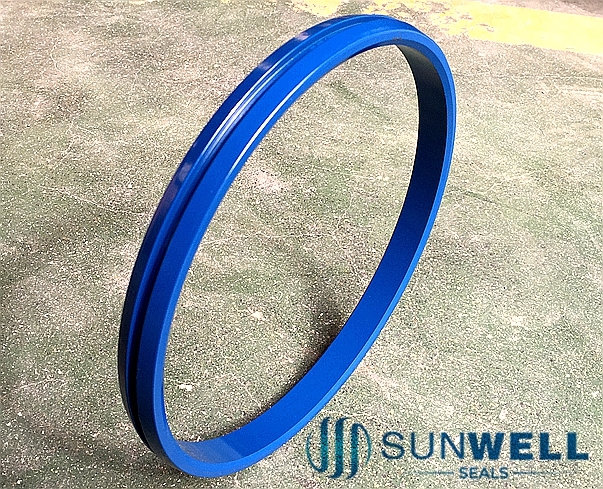 SUNWELL have developed a sealing system which uses a modified cone ring giving excellent leak tightness properties under the most severe conditions of pressure, temperature, thermal cycling and shock. The designed or materials shall be selected, so that main sealing ares can not be subject to corrosion. Typical minimum yield stress and ultimate stress of the seal ring material shall at maximum design temperature be 300MPa and 360MPa, respectively, in order to allow for reasonably elastic spring-back. Lower strength may be used, but is not recommended. 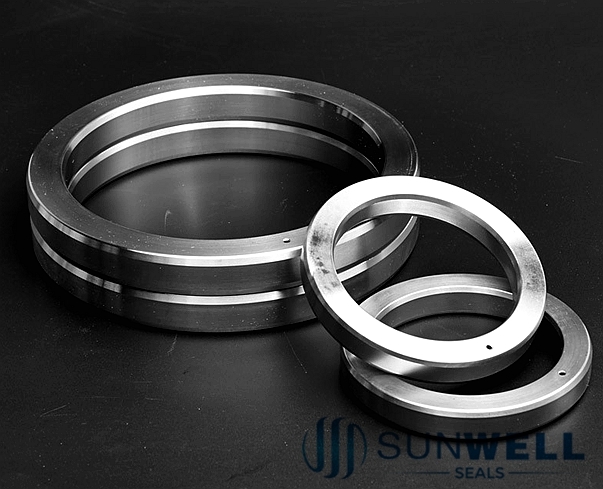 The user is responsible for selecting a seal ring material which is suitable for the service medium and the design temperature conditions. 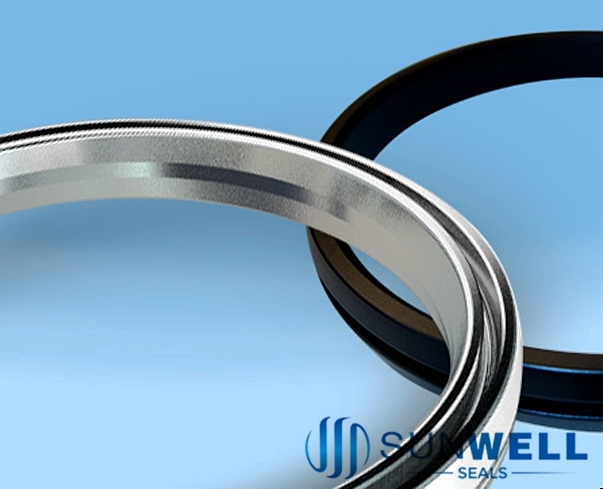 Seal ring materials are commonly chosen to be compatible with the flange material, I.e. Duplex seal ring in duplex flange. IX Seal Rings shall be coated with 10μm to 30μm PTFE coating. The colour of the coating shall follow the requirement above table. IX Seal Ring axial forces are exerted on the taper of the metal seal ring and translated into a radial sealing force. Furthermore with increased pre-load, the bevel is closed and face to face contact is achieved at the outer wedge while most of the bolt pre-load is transferred as compressive forces between the flange faces at the heel. There are two independent seals. The first seal is created by application of seal seating stress at the flange heel. The flange also remains in contact along it`s outer circumference at the flange faces for all allowable load levels. The main seal is the IX Seal Ring. The seal ring force is provided by the elastic stored energy in the stressed seal ring. Any hell leakage will give intemal pressure acting on the seal ring inside intensifying the sealing action. The design aims at preventing exposure to oxygen and other corrosive agents. Thus, this prevents corrosion of the flange faces, the stressed length of the bolts and the seal ring.